Kitchen Diaries include 100’s of recipes! I love Nigel’s recipes. He uses the type of ingredients I have at home and the way he describes his days and choices for recipes is a joy to read. 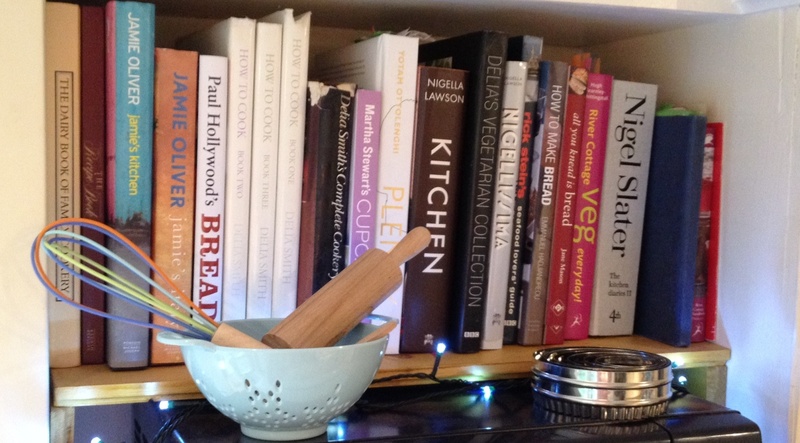 As well as lovely recipes the books are a really good read! I have not had any disappointments with following recipes in these books and his Chocolate Brownie recipe is the only one I’ve made with total success every time. This is a compilation book so unfortunately I already had a number of these recipes in other Delia books. Having said that it is always nice to be able to pick up a book knowing it’s all veggie. The photography is lovely but the recipes are slightly dated now. but it is Delia and they still have the reliability of Delia – they always work! This book was out of stock at River Cottage Canteen when we went last December with my son and his (then fiancée) wife. They were glad it was as they’d already ordered it for my Christmas present. There are hardly any recipes left in this book that I haven’t made. I set myself a challenge to use it as an incentive to my hubby to stick with vegetarian meals with me and he wasn’t disappointed. Just once or twice I felt that the amount of an ingredient wasn’t quite enough ie in the lasagna recipes I used more than double the amount of lasagna sheets but that was just my personal choice and no reflection on the quality of the taste of the meals. In my opinion it is the best book of how to make the most of vegetables in season even if you’re not a vegetarian. I have to admit to loving everything that Hugh stands for and the effect he and River Cottage have had on the area is impressive. He also feels like me about supermarkets and their impact on producers and local shops alike. I received this book as a Christmas present chosen by my lovely nephew Tom. He had been to Ottolenghi’s restaurant in London and loved it and knowing my preference for vegetarian cookery it was a great choice. The book is stylish and beautifully photographed and I love hardbacks with no fly sheet. It is a book you can read and enjoy before you even attempt the recipes. When choosing recipes it is necessary to plan and source a number of ingredients that most people would not have readily available. So far any recipes I’ve made have been successful and well received. I was lucky enough to meet Pam at a River Cottage fair after watching her do an inspiring demonstration – using seasonal, fresh ingredients. She signed my book and when I told her I hadn’t done any preserving since the seventies she said to “just have a go – you’ll love it!”. She was right. From mincemeat to Chilli Jam, Windfall Chutney and more each recipe has been a success and helped us to avoid the supermarket! Not my favourite book of Nigella’s but having said that the majority of recipes are straightforward and the photography, as usual, is beautiful. Some of the pasta recipes appear very simple but they all turn out to be very tasty. This is a well used book and one that has many old favourites in. It has the sort if recipes in it that my mum would still use. Delia’s recipes were modernised with ingredients and methods by the production of the How to Cook series which is probably a better collection for a complete beginner these days. You can’t fault Delia’s recipes – they stand the test of time but when I look at them now (a number of recipes are among our family favourites) it is surprising how ingredients have changed. However, for using everyday ingredients the recipes provide plenty of choice. I had stopped watching Gordon’s programmes as I really don’t enjoy the swearing and shouting that he’s become famous for but we were impressed by his series in the prison so when my son recommended this tv series I began to record it and was hooked. 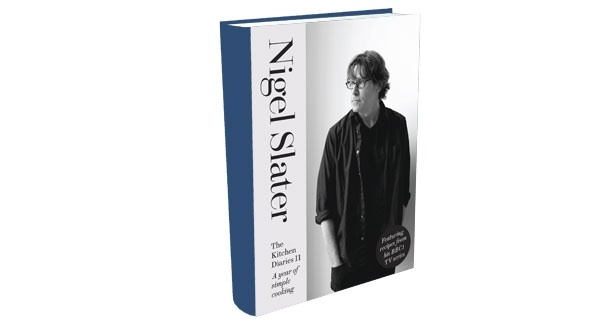 The accompanying book would be a great gift for anyone wanting to push the boundaries of a basic cooking knowledge as it gives fairly simply recipes for some current and popular dishes.